It seems like a lot of trucks have lift kits for ‘off-roading’. 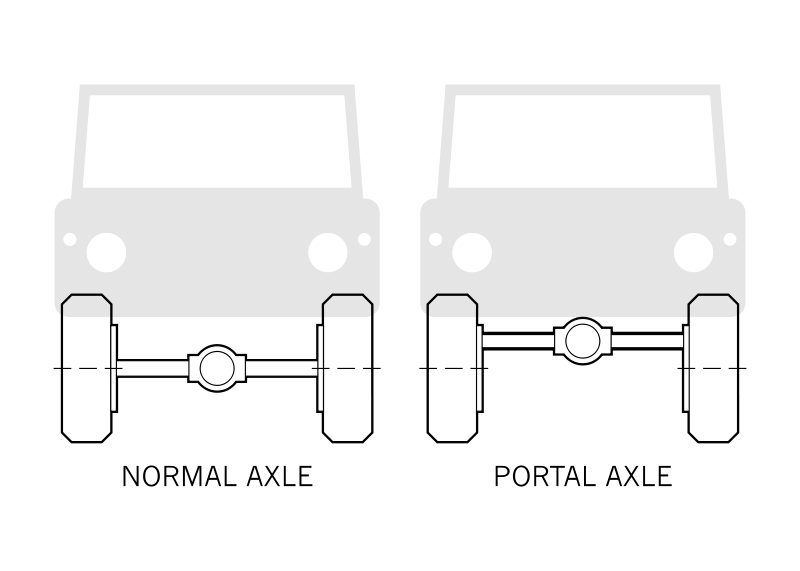 But I can’t help but wonder; wouldn’t a portal axle be a smarter choice? You’d have more ground clearance since the differential and axle would be higher. Or are portal axles the norm already, and bros just add a lift kit to look cool. There’s also the possibility that adding a lift kit is cheaper overall then adding portal axles. Or perhaps adding more moving parts to the axle decreases it’s reliably overall? I have no idea. I just keep seeing lifted trucks, and keep thinking that portal axles would be a smarter and cleaner look than dropping the axle so far down that I could easily climb over it like a jungle gym. Semi-related, could someone put portal axles on a car to give it a higher ground clearance? Or is there something I’m missing here in this logic? Lastly, now you’re thinking with portals.